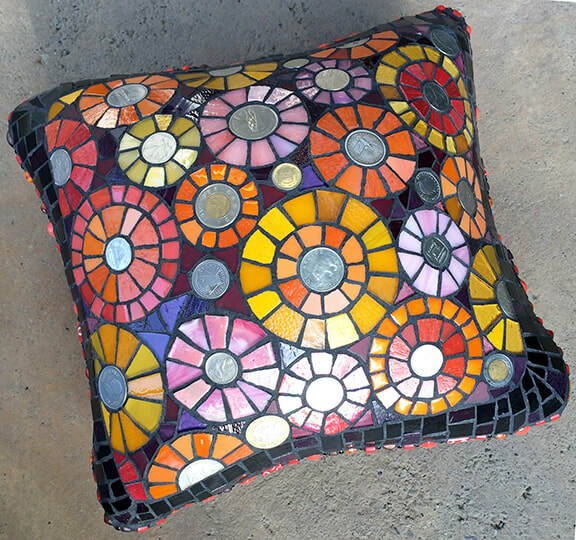 Mosaic pillow includes foreign coins from client's travels. 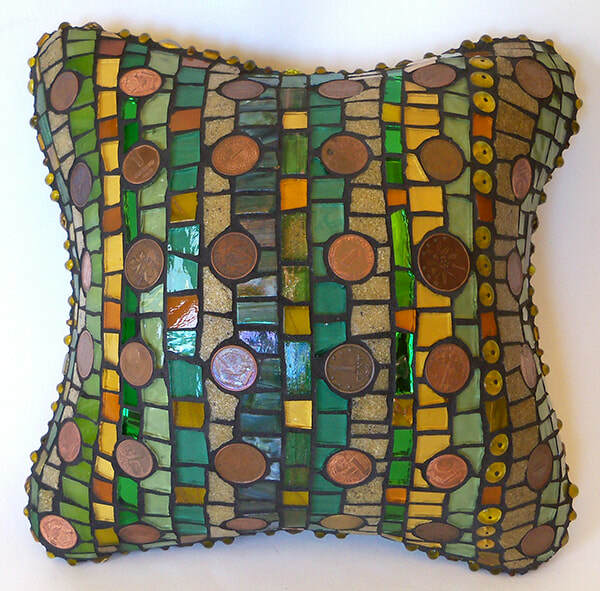 Handmade concrete pillow with a mosaic skin of pennies, stained glass, mirror and vitrious glass tile. 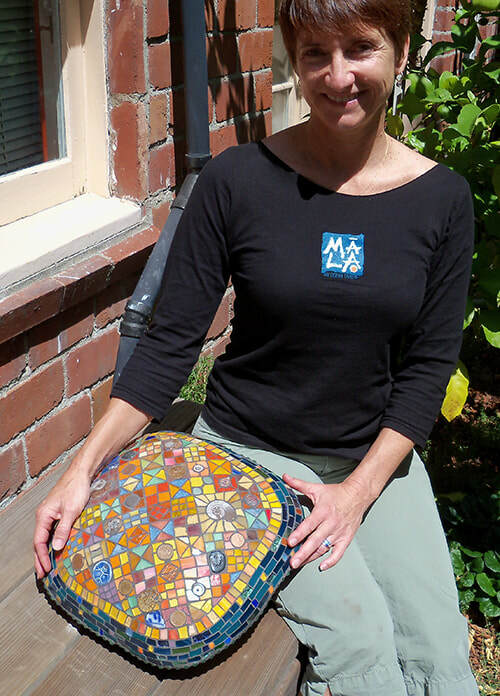 Client with mosaic using variety of materials including children's pottery, amulets. stones, coins and fossils.